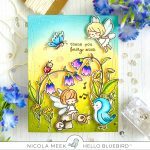 The Hello Bluebird May Release is coming on May 17th. Mark your calendars! 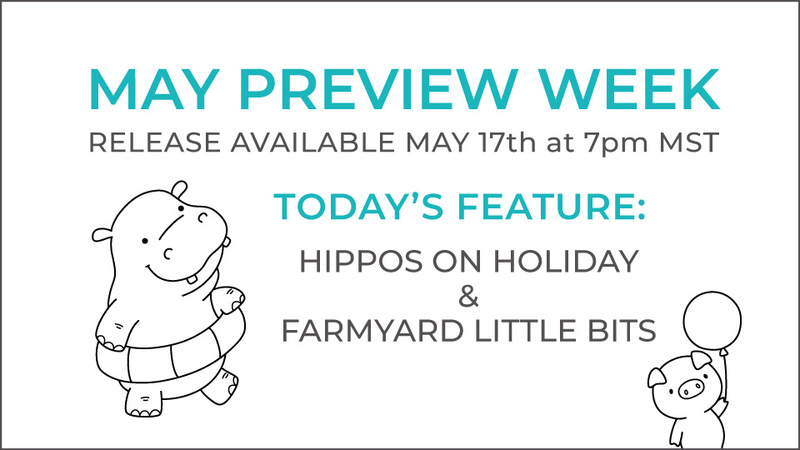 Today we are introducing “Hippos on Holiday” and “Farmyard Little Bits”! 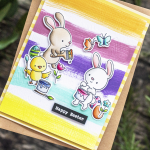 Mayra’s card is also featured on her blog Click Here with even more pictures and all the details! 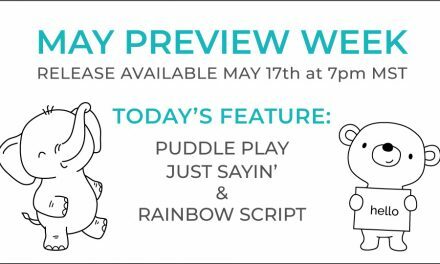 We hope that you will check back with us over the next few days leading up to the May Release (May 17th)! We have many more fun stamp sets, matching companion dies, and stand-alone dies to reveal. And you won’t want to miss the wonderful creativity and imagination that our Design Team puts into all of these great sample cards! Thank you for stopping by. See you tomorrow! These critters are so adorable. Thanks a lot to the design team for sharing their inspiration! 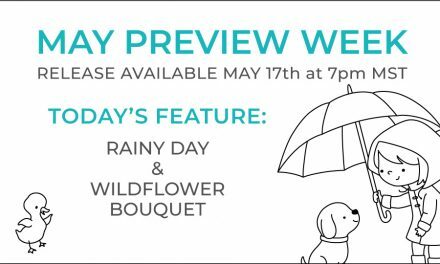 I can’t wait to see what other cute little sets are going to be in this May release! You are a new company to me, but I’m loving what I’m seeing so far. I can’t wait to see the rest of the release! Adorable. Those Hippos made me smile. Can’t wait to see what else is coming. Love your stamps! Can’t wait for release day! These Farmyard Little Bits are adorable! I can’t wait to order them! 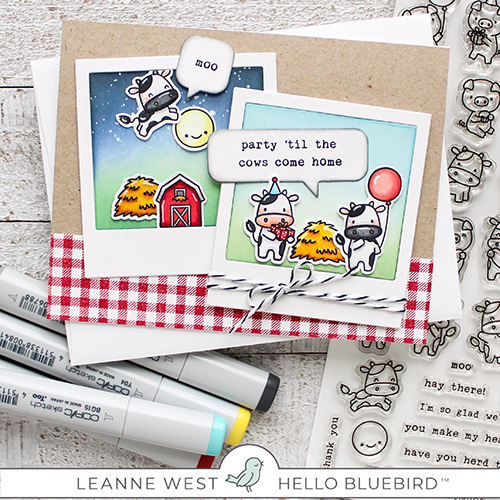 I am just obsessed with the new Farmyard Little Bits!!! The designs are just so adorable. So many possibilities with both that set and the hippos!! those little farmhouse critters are adorable! found you thru leanne’s ig. I am so excited about the farmyard stamp set. I have been obsessed with pigs from a very young age so I love when I find pig stamps! 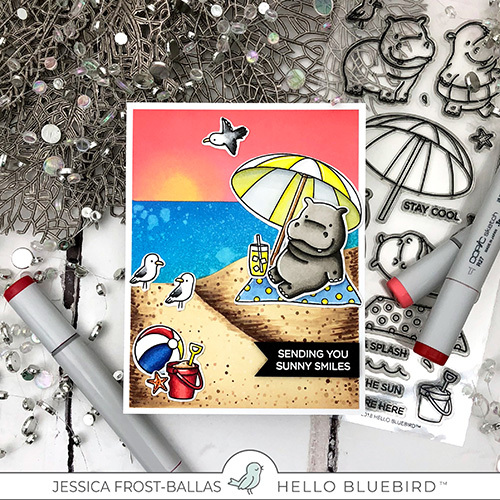 I am so happy about my new discovery of Hello Bluebird! I will definitely keep watching for new sets! These images are just adorable! Eek! Absolutely love them! I am so excited to see the rest of the release and add to my already growing collection of Hello Bluebird. Too cute! And the design team samples are incredible. What a great team of talented ladies! Omg!!! These sets of the critter are cuteness overload!!! Those hippos are too much! And the farm! Omg my!!! Hello BlueBird just take all my money now!!!! I will definitely be adding these to my forever growing collection of Hello BlueBird!! 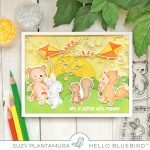 Amazing stamps and dies,so excited to see what comes next!!! !!! I am in love with Hippos on Holiday!!! Adorable! 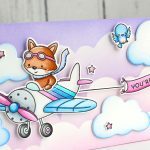 I love creating cards with scenes and these awesome sets are just perfect for that. Too cute! oh how cute! definitely need both of these sets! 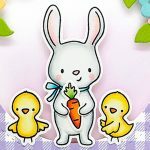 The illustrations are one of a kind, all I can do is “squeal” they are absolutely adorable I can’t wait to the get my hands on them and get inky. Both sets are wonderful, I can’t wait to see what’s next!!! I love the Farmyard Little Bits, and I’m thrilled it’s cows and pigs both, plus the barn, haystack and moon. They’re so much more usable that way. Definitely on my buy list! Love both sets! Looking forward to seeing all the release and then shopping! I am totally ready to get both sets. Absolutely darling and versatile. Well done. Aww..these Hippos are damn cute… Love the cards from team..so beautifully designed.. 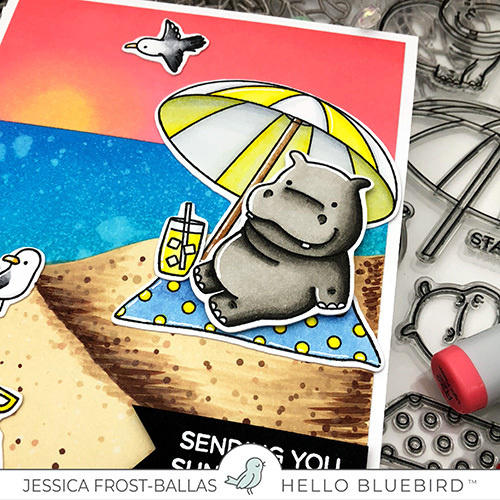 The sunbathing hippos are so super cute!! Love!! I’ve been eagerly anticipating this release, and I am not disappointed. These are the cutest! I love the Farmyard Little Bits, and my sister, a die-hard lover of all things pigs, will flip out when she sees it. Guess I know what I’ll be getting for her birthday! These are soooo adorable! Love!! These are just the CUTEST!! I need the hippo set in my life! Eek! So excited for this release! I love, love, love your stamps! Can’t wait! Off to a fantastic start with the previews!! Be still my heart those hippos are thee sweetest! Those cows! Gotta have them!!! These sets are sooo cute! Love the farmyard little bits! KAYDEE!!! Those hippos! Thank you for that gorgeous, fluffy hippos. Love!! And the pigs! How adorable! You did it again, lady! Showing everybody how it’s done! This is just the beginning of all the cuteness you are about to release to us?!? Oh my!!! These sets are so adorable already, so excited to see what comes next!!! Oh my word! These are beyond adorable! Omg those hippos are the cutest lil things! OMG, those hippos are so cute. beautiful cards, love them both. OMG – these sets are both so adorable!!! Absolutely adorable!! Cannot wait to see what else you’ll have in store!! The cards is so beautiful and the stamps sets are absolutely perfect! !